As the clock ticks on the ePrivacy Regulation — and the ambitious aim of having it ready for May 2018 — members of the European Parliament’s civil liberties committee have submitted more than 800 amendments. Despite being a member of the Parliament’s largest political group, the European People’s Party, he will have a fight on his hands. The ePrivacy Rapporteur Marju Lauristin told The Privacy Advisor (in last week’s video interview) that she cannot see any justification for legitimate interest. 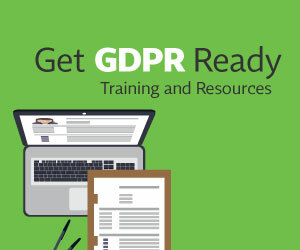 The ePrivacy Regulation is transposing two specific rights from the EU Charter of Fundamental Rights: Article 8 on Data Protection and Article 7 on privacy and confidentiality of communications. This is where it differs from the GDPR. Because confidential communications are deemed to be sensitive data, previous iterations of the law have never allowed for any further processing of the electronic communications data beyond what is technically needed for the transmission and where the user has given consent. He’s certainly correct that there is a huge amount still to discuss in the ePrivacy Regulation — Wi-Fi and Bluetooth tracking, do not track enforcement, and last, but not least, defining what it covers. In particular so-called “ancillary services” need to be pinned down. Ancillary services are those that provide a communications tool without it being central to the service provided — for example, direct messaging between gamers during an online game or as part of a dating app. Expect heavy lobbying on all these issues. The next meeting of all the shadow rapporteurs will take place September 6. Thanks for the update Jennifer. 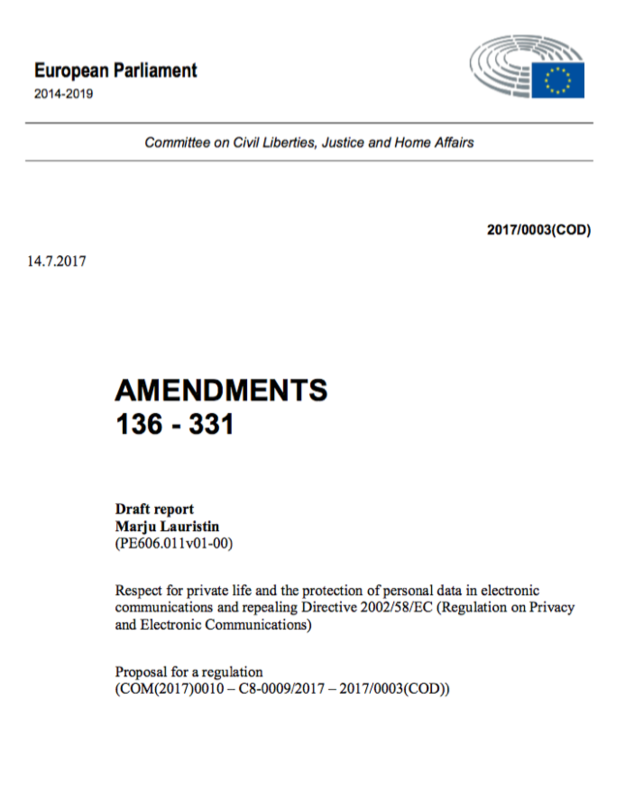 It would be worth mentioning that the amendments document linked to from https://iapp.org/resources/article/submitted-amendments-to-the-proposed-eu-eprivacy-regulation/ doesn't contain all the amendments. Amendments 1-135 are in the draft report itself at http://www.europarl.europa.eu/sides/getDoc.do?pubRef=-%2f%2fEP%2f%2fNONSGML%2bCOMPARL%2bPE-606.011%2b01%2bDOC%2bPDF%2bV0%2f%2fEN - I've done my own consolidated version, huge document, happy to share if you want it! Thanks Kuan - we couldn't find those to combine them in. Appreciate the heads up. We'll adjust ASAP. The IAPP has acquired the full list of submitted amendments to the ePrivacy Regulation, more than 800 in total. Click here to download a pdf of all the amendments in one file.